Watford is a thriving northern Hertfordshire town with a flourishing cultural and commercial centre, boasting theatres, cinemas, major High Street brands and a number of beautiful parks just a stone’s throw from the centre. It is also a hub for businesses, from start-ups to multi-nationals and these occupy the town centre and numerous business hubs such as Croxley Park and Leavesdon Park. 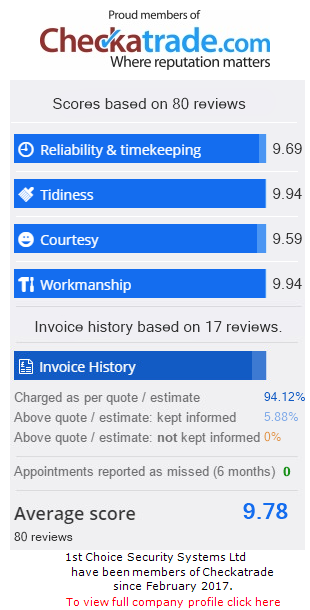 Over the years 1st Choice Security Systems has offered advice and support to a range of businesses, large and small around the town, and word-of-mouth has served us well as we are now considered the ‘go to’ company when it comes to CCTV camera installation for Watford. The first CCTV camera was installed back in 1942, and they have retained their popularity as a reliable security device ever since. It’s usually the first thing that businesses ask about, and there’s no doubt that staff feel safer once they know that business CCTV camera systems have been installed. Technology has come a long way in the past 80 years and the CCTV cameras we install are small and versatile enough to be fitted inside or out. Many smaller businesses require only the basic recording facilities, but we are also able to provide infra-red lighting, and sensors to record movement dependent upon the needs of the location. 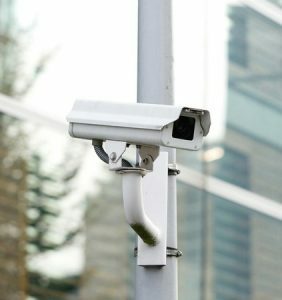 For any client considering the installation of business CCTV camera installation in Watford, our engineers would always begin with a site assessment, followed by recommendations as to the best placements for the cameras. Our installation service includes a detailed handover period including clear instructions on setting camera timings and playback. Once your system is set-up there’s no intervention needed as the digital recordings are all stored on a hard drive, and will automatically overwrite old footage once the drive is full. Our CCTV camera installation team are always happy to offer advice, site assessment, or to replace outdated systems. All our engineers have years of experience installing business CCTV camera systems, and will be able to give you expert guidance on the kind of cameras that would suit your business best, and advise you on additional security measures that would further enhance the protection of your business premises. 1st Choice Security Systems is your local security company of choice. We know security in Watford inside out and we will happily arrange a site visit to give you the benefit of our advice without any obligation. Call us on 0800 118 2414 or email info@1stchoicesecuritysystems.co.uk. If you are interested in learning more about Business CCTV Installation for Watford, contact us today on 0800 118 2414 for an obligation free quote!